There are many contexts within which people experience trauma. 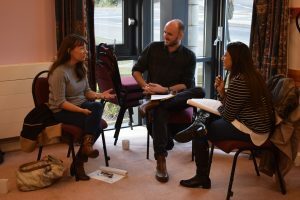 This module explores how narrative ideas and practices are used both to help people find preferred identities that have been lost through trauma, and also how a narrative ethic might lead us to respond to the contexts of trauma. Participants will be encouraged to bring issues and dilemmas from their own work experience for the group to work with. This is a highly practical module which is mindful of the many dilemmas when working in this area. Working with the effects of sexual abuse. 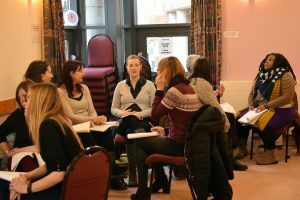 This module focuses on different practices which link people together around the values they hold as important, and which can be used to address concerns shared by different communities or individuals. How can we provide supervision in ways that are consistent with narrative understandings and approaches? Can we use maps of narrative practice in supervision in the same ways as in therapy? What are the hopes of a narrative supervision? What if the supervisee wants our advice? What are the issues of power and hierarchy in the supervision context? Is ‘supervision’ a helpful term or would other words such as ‘intervision’ construct a better context? What is the difference between supervision and consultation?